It is rare to find a business without a Facebook presence nowadays, as the social network has cemented itself as a necessary communication channel across industries. With businesses typically leveraging Facebook multiple times a day to share updates with their audiences, however, it can be easy for social media managers to get comfortable with their posting routines and overlook many of the social network’s less-talked-about features. Admins can adjust the layout of their Page by hovering over the title bar of any section featured on the Page's left side, such as "People," "About" or "Photos." In doing so, a little pencil will appear that enables users to “Manage Sections.” From there, admins can drag to reorder how sections are displayed on their Page, such as moving the “About” section above the “People” section. Many social media managers use tools like Hootsuite or Sprout Social to share their business’s social updates. In doing so, they have the ability to schedule posts in advance in order to save time and be more efficient. 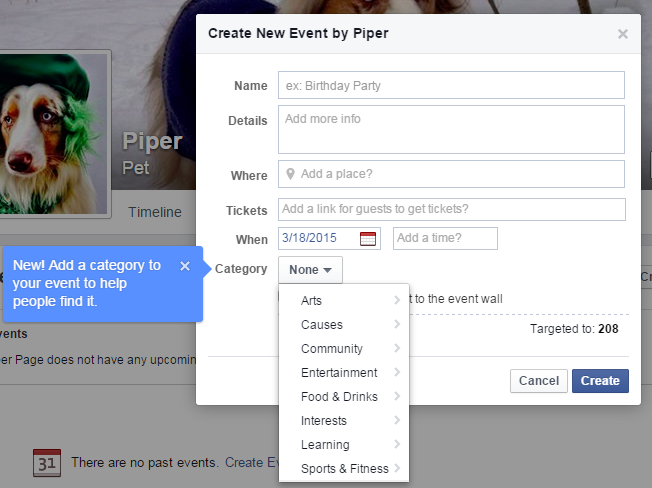 What some people forget, however, is that they also have the ability to schedule and backdate posts directly on Facebook. Instead of selecting “Post” after creating a status update, admins simply need to click the arrow next to the “Post” CTA to view a dropdown menu (see image) that provides users with the option to schedule a post, backdate a post or save a draft of the post. Social media managers may find it more effective to post directly in Facebook, because they have more post-editing options (like how an image will appear and what post description is included). There are many noteworthy features under Pages' “Settings” menu, including the “Page Moderation” and “Profanity Filter” options that can be found under the “General” tab. For starters, the “Page Moderation” option enables admins to block specific words from appearing on their Page, both from within fan posts on the Page and comments. 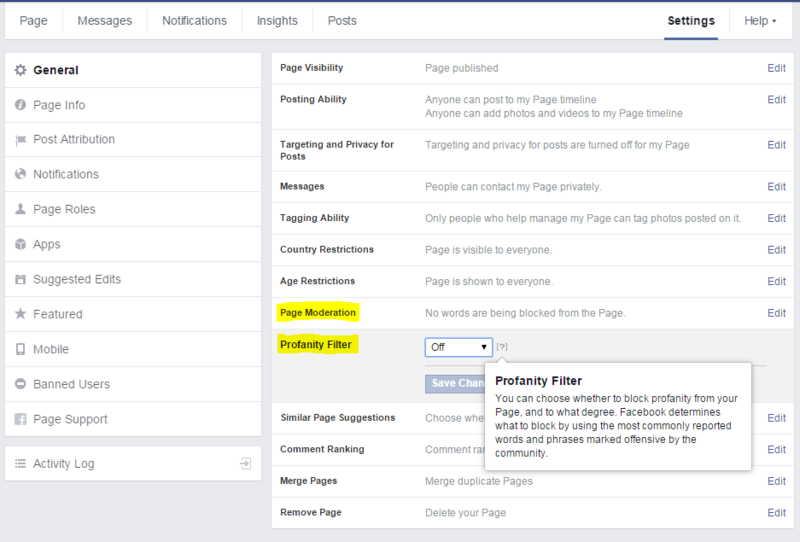 Conversely, the “Profanity Filter” option enables admins to block profanity from their Page. According to Facebook, the social network determines what to block by using the most commonly reported words and phrases marked as offensive by the community. 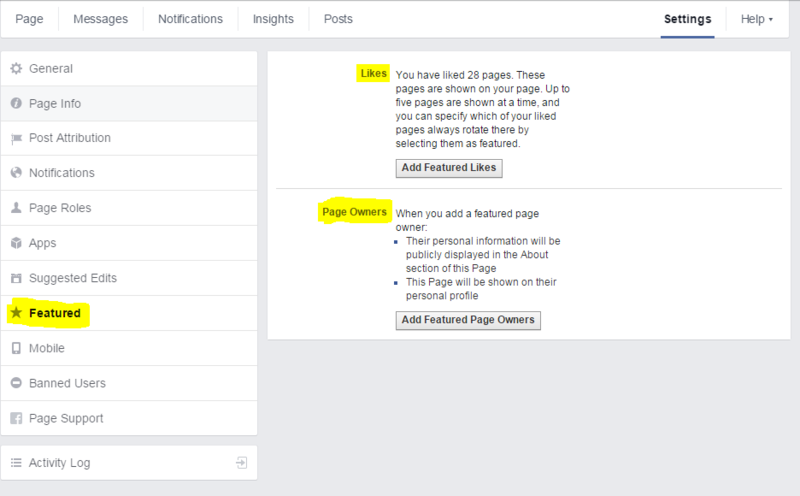 To increase organic reach, Page admins should make sure that their “Similar Page Suggestions” option is turned on. This option is found in the “General” tab under the Page’s “Settings” menu. 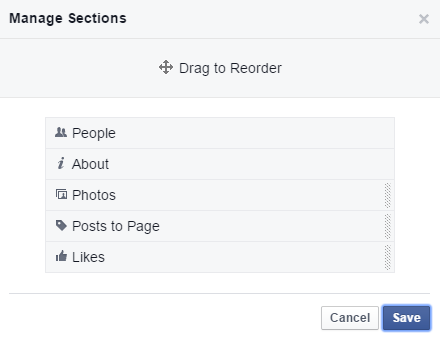 By having this option turned on, the Page will be featured when Facebook recommends similar Pages that people might like on a timeline. Something else that deserves attention under the “Settings” menu is the “Featured” tab. Under this tab admins have the ability to choose which likes they would like to feature on their Page. Keep in mind that Pages have the ability to like other Pages on Facebook, and these likes are then displayed. The “Featured Likes” option, however, enables admins to choose which Page likes are displayed, with up to five being shown at a time. This option is especially useful for businesses with partners or sister companies, as they can choose to display those specific Pages under their featured likes section to boost visibility. That said, it is also important to note that admins can visit the “Featured” tab to highlight Page Owners. In doing so, the Page will feature the selected Page Owner and will display that person’s personal information. In addition, the Page will be shown on the Owner’s personal profile as well. 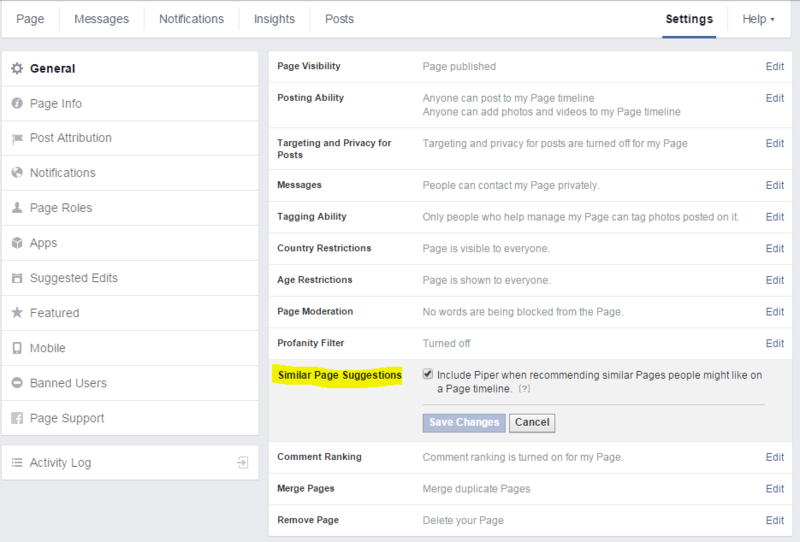 While there are many noteworthy features under the Facebook Page Insights tab, one of the most useful is “Pages to Watch.” This feature is found at the bottom of the “Insights Overview” section, and enables admins to monitor the performance of competitors compared to their own Page, including metrics like total page likes, new page likes, new posts and overall engagement. It is important to note that admins can also check on competitor insights under the “Posts” tab in the Insights menu. From here, admins can select “Top Posts from Pages You Watch” to view competitors’ top performing content. 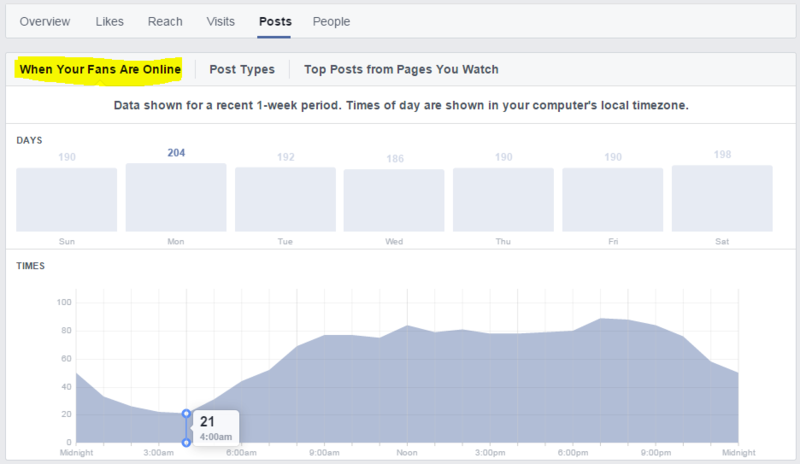 Another section Page admins will want to check out under the “Posts” tab in the Insights menu is “When Your Fans are Online.” This section can be useful in determining the best days and times of day to post content, as it sheds light on the overall activity of a Page’s audience base. Also worth checking out under the “Posts” tab is the “Post Types” section. This section sheds light on the success of different post types based on average reach and engagement. By reviewing this section, admins can identify their best performing content and optimize posting strategies to increase audience engagement with their Page. The aforementioned features are just the tip of iceberg when it comes to Facebook Page features that businesses should be using. 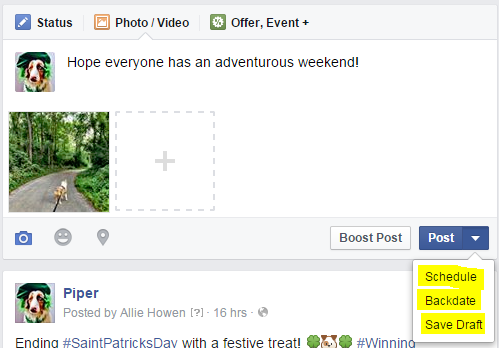 What is your favorite, yet often forgotten, Facebook feature? Share it with us in the Comment section below.